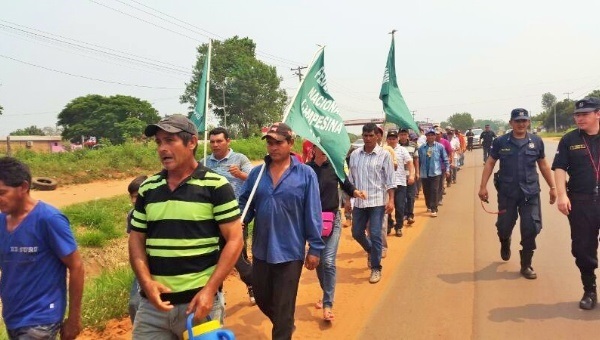 The closing down of a community-run radio in eastern rural Paraguay is the last example of repression in a country where 1,6% of its population controls 80% of its agricultural land. Like many other community-run radios across Paraguay, Mandu’arã’s output reflected the quotidian ups and downs of local campesino life. Then, in November 2015, eight policemen and six public officials raided Mandu’arã’s studio. “They took everything,” Aveiro says. His experience is part of a pattern of suppression playing out across Paraguay, according to Francisco Benitez from CODEHUPY, an umbrella organisation of human rights groups. “This government is driving a process aimed at eradicating alternative voices of protest,” he says. Paraguay’s government is led by President Horacio Cartes, who took power in 2013 at the head of the establishment Colorado Party. Carlos Goncalvez, director of the media pressure group DemInfo, explains why they are targeting community radios. It’s this last role, Goncalvez believes, that prompted the confiscations. This fight centres on land ownership. According to a 2008 census, 1.6% of Paraguay’s population controls 80% of its agricultural land. At the same time, 300,000 family ‘farmers’ live without access to any land at all. This shapes a situation in which a third of the rural population lives in extreme poverty. Such inequity is a legacy of the country’s long years of dictatorship. During his 35-year rule, General Stroessner tortured his opponents in bathtubs, threw them out of planes, or parcelled them in barbed wire before dumping their bodies in the River Paraguay. As part of the clientilist networks through which he maintained power, Stroessner divided public land among the country’s military and political elite. 10 million hectares – 25% of all the land in Paraguay – were given away or sold at negligible prices. Democracy supplanted the Stroessner dictatorship in 1989. But the expansion of international agribusiness has suffocated subsequent attempts to reclaim land. The biggest culprit, as in much of the southern cone, is soya. Multinational grain giants such as Cargill, ADM and Bunge have snapped up swathes of eastern Paraguay. In the last decade, both the land covered by the crop and exports of the product have doubled. Paraguay is now the world’s fourth largest exporter of soya beans; its biggest market is the EU. Approximately half of this land was previously occupied by smallholder farmers and indigenous families. 900,000 people have migrated from the country to the city. Arantxa Guerena, author of an Oxfam study on soya in Paraguay, offers an alternative analysis. Soya cultivation is highly mechanised, and a typical plantation needs just one worker per 480 hectares. The industry pays minimal tax; shortly after coming to power, Cartes vetoed a proposal to impose a 10% export tariff on raw soybeans. Compounding the issue is a vacuum of state support for small- and medium-scale farmers. This pressure works through the same complex of relationships that links landowners with executive and judicial power throughout Latin America. Such ties are particularly strong in Paraguay. Stroessner forged a close alliance with the Colorado Party of President Cartes. Many of its members benefited from his generosity with public land. Despite pressures to migrate, some rural Paraguayans are determined to stay and fight for land of their own. Filling the vacuum left by the state is a farmworkers’ union, the national federation of campesinos (FNC), which uses direct action to acquire it. One community born of this process is Arsenio Vazquez, located in the central department of Caaguazu. 80 families live in a series of small hamlets, scattered across 1000 hectares of red earth and green cropland. Before 2004, this all belonged to a single landowner. Resident Cristino Benítez cultivates manioc, maize, peanuts and, in good years, potatoes and cotton. 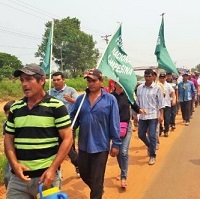 As the occupiers clung on, the FNC coordinated protests and blockades across Paraguay. After a three-week standoff, the government capitulated. The owner of a neighbouring piece of land was willing to sell, and the state purchased it for the occupiers. Shaken by the brutality of the experience, Benítez returned to a passion he’d neglected since adolescence. In the indigenous language of Guaraní, he writes songs on his guitar, documenting political struggle, police brutality, and the hardships of campesino life. According to the FNC’s general secretary, Marcial Gomez, Arsenio Vazquez is part of 270,000 hectares conquered by the campesino movement since 1989. But this land has come at a cost. More than 130 campesino leaders have been assassinated, and thousands of farmers imprisoned. The most violent clash occurred in 2012, and triggered the impeachment of a President. Fernando Lugo had been elected in 2008, leading a left-leaning coalition called Frente Guasu. It seemed a watershed moment for Paraguayan democracy: the first non-Colorado government in 61 years. Lugo’s government expanded social welfare and promised to pursue a programme of agrarian reform. They encouraged police to negotiate with land occupiers instead of using force. Meanwhile, a dispute was unfolding over a tract of land in the border region of Curuguaty. The land was donated to the Paraguayan military in 1967 and designated for redistribution in 2004. But the firm Campos Morumbi, owned by former Colorado President Blas Riquelme, also claimed ownership. A drawn-out legal process clanked into gear, with decisions ricocheting back and forth in the Paraguayan courts. Landless farmers repeatedly occupied the land; Morumbi leaned on the authorities to evict them. This rhythm of occupation and eviction came to an abrupt end on 15 June 2012. 324 police officers and a Special Forces unit encircled sixty occupiers. They refused to back down. A standoff ensued, with police pointing automatic weapons at the campesinos. Some pointed back with shotguns. What happened next is the subject of tremendous controversy. Once the dust settled, 11 campesinos and six police officers were dead. Lugo’s opponents acted immediately. A week after the slaughter, the Senate voted to impeach him. Neighbouring countries condemned the process as a constitutional coup, suspending Paraguay from the trade bloc Mercosur. In Asunción’s Palace of Justice, 14 campesinos are currently on trial for the events of that day. They face jail sentences of up to 30 years. 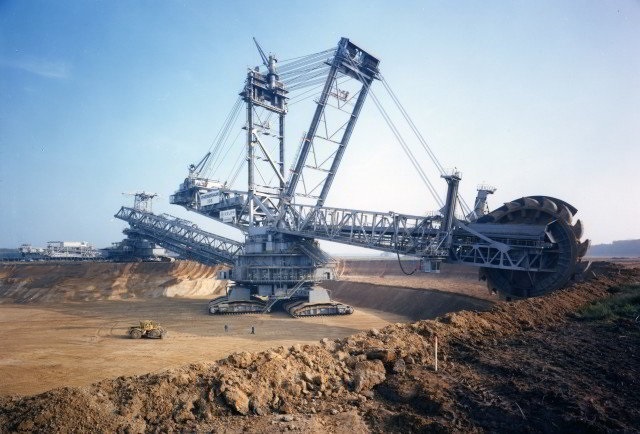 No one has been indicted for the deaths of the occupiers. Locals and human rights groups point to holes in the official version of events. 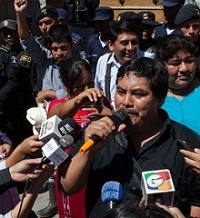 The prosecution has given no evidence of a connection between the arms held by the campesinos and those that killed the police; indeed, they’ve opposed defence requests for an autopsy. A forensics expert has testified that the first shots to hit the police struck them in the back – while they were facing the occupiers. Such lacunae leave ample space for alternative interpretations. Many are convinced it was a deliberate plot, intended to generate the chaos needed for Lugo’s impeachment. He points to the subsequent assassination of Vidal Vega, a peasant leader who was to be a key witness at the trial. Amnesty have questioned the impartiality of the trial and called for an independent investigation into the massacre. They cite witness reports of arbitrary detention, torture and extrajudicial executions. But the only inquiry to date was dissolved shortly after Lugo’s impeachment. Whatever really happened in Curuguaty, it had the effect of resetting Paraguayan politics. Within a year, the Colorados, the party of General Stroessner, were back in power. One of the government’s first acts was the implementation of a permanent state of emergency in the north of Paraguay. The rationale was the elimination of an armed guerrilla group, the EPP, which has killed 25 people in the region in the past two years. A specialised unit, the Combined Task Force (FTC), was created for the job. But the continuing failure to subdue the group – estimated to contain just 50 members – has raised suspicions about its true priorities. “It’s been converted into a state instrument to repress any process of organisation by campesinos,” says Benitez from CODEHUPY. “It’s produced torture, maltreatment, and violence.” He notes that the state of emergency applies to the three departments – San Pedro, Concepción and Amambay – with the fiercest struggles over land. For the FNC’s Marcial Gomez, the surge in violence is a predictable response to the progress made by his movement under Lugo. On the community radios broadcasting to Paraguay’s campesino settlements, this discussion remains as febrile as ever. Meanwhile, Cartes has bought up tracts of Paraguay’s mainstream media. In 2015, his business group gobbled up the national print papers La Nacion, Cronica and Popular; the digital news service Hoy; and the radio stations Montecarlo FM, 970 FM and Laser Stream. Cartes’s main competitor in the media landscape is Aldo Zuccollini, who was so quick to pin blame on Lugo for the Curuguaty massacre. Radio Mandu’arã, on the other hand, remains off the air. Toby is a freelance journalist who has written on a wide range of subjects for publications including the Independent, International Tax Review, Artlyst, Hopper and Left Foot Forward. He is particularly interested in reporting that foregrounds perspectives and experiences which are frequently excluded from cultural representation.